Painted with Global Street Art on Chalk Farm Estate, London, as part of their Art for Estates programme to add colour and interest to otherwise drab housing estates. 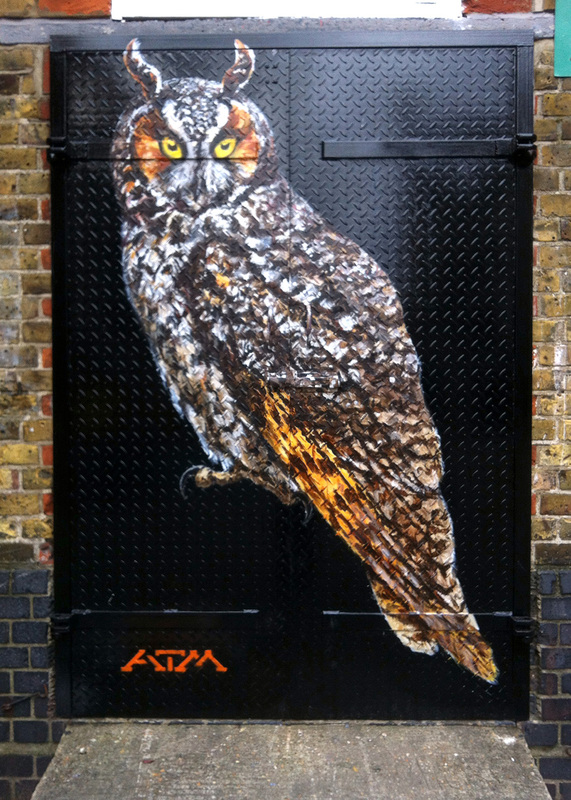 The long eared owl was chosen for this beautiful shiny black textured metal door to inspire London Boroughs to take more consideration of the needs of wild creatures. It’s a plea for more planting of dense copses in housing developments. As building proliferates in London it’s vital we combine this with creation of healthy green spaces where owls, as well as people, can find respite.